This tyre fits many road/touring bikes made up to the late 1980s (when 700c took over as the dominant road bike size). 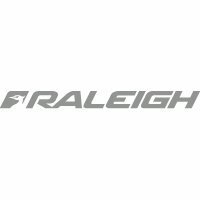 The Raleigh Sports Standard Road Tyre is a fine tyre for general riding, commuting and touring. The tread offers decent grip on varied terrain. Dimpled shoulders for secure cornering. Traditional gumwall carcass for long life. This tyre will not fit 27.5 inch mountain bike wheels. 537g based on weighing a Raleigh Sports 27x1 1/4 tyre at Bike Co-op HQ in November 2015.